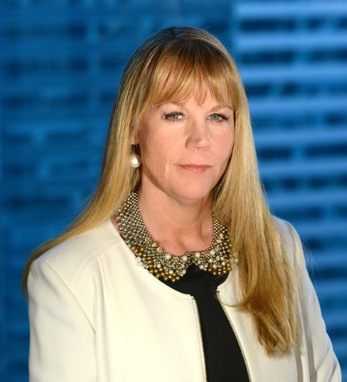 Jeanmarie McFadden is the executive vice president and chief communications officer at MetLife, where she leads all internal and external communications and manages a team of over 60 global communications professionals. She has over 25 years of experience in strategic and crisis communications. Born in New York, Jeanmarie acquired her degree in psychology at the College of New Jersey. Prior to joining MetLife in 2014, she served as managing director and head of global corporate affairs at Morgan Stanley, and sat on the board of the Morgan Stanley Foundation. A second-generation Irish American on her father’s side (rooted in Falcarragh, County Donegal) and a fifth-generation on her mother’s (the O’Malleys of County Cork), Jeanmarie treasures the memory of her Irish grandfather, Daniel. “Every St. Patrick’s Day growing up, we heard him sing along to ‘Danny Boy’ with tears in his eyes,” she recalls. “He was a determined and strong man, forced to leave home and come to America at age 14. He helped build many of New York’s bridges and tunnels during his life.” Jeanmarie lives in Rumson, New Jersey, with her children, Hayden, Maggie, and Grace.